I love this outfit because it's comfortable, simple, and stylish. 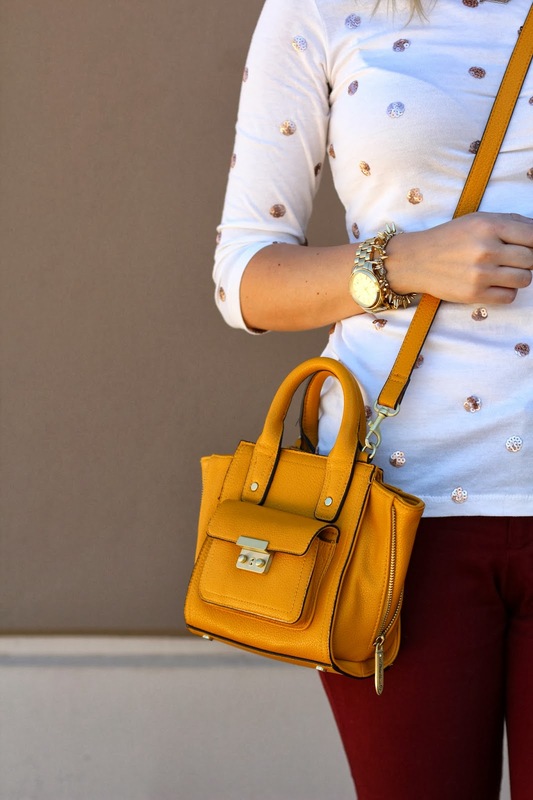 The burnt orange/burgundy hue of the pants combines perfectly with my mustard cross body bag. Also, I have to say that Old Navy has really stepped up their game lately! I'm finding myself putting lots of their Fall items on my wish list! And you can't beat the price. By the way, Jacqueline and I are now asking the Spotlights we choose to co-host our link-ups! Dani of Love Me, Dani Marie is our very first co-host! 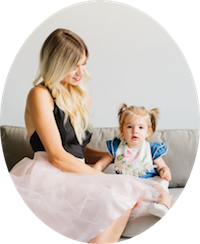 This week's Spotlight is Dani from Love Me, Dani Marie! Her leather outfit last week is darling! I'm seriously loving her long, gorgeous locks! 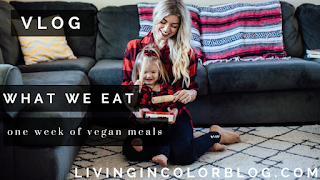 Make sure to stop by her blog to see it, and to say hello! 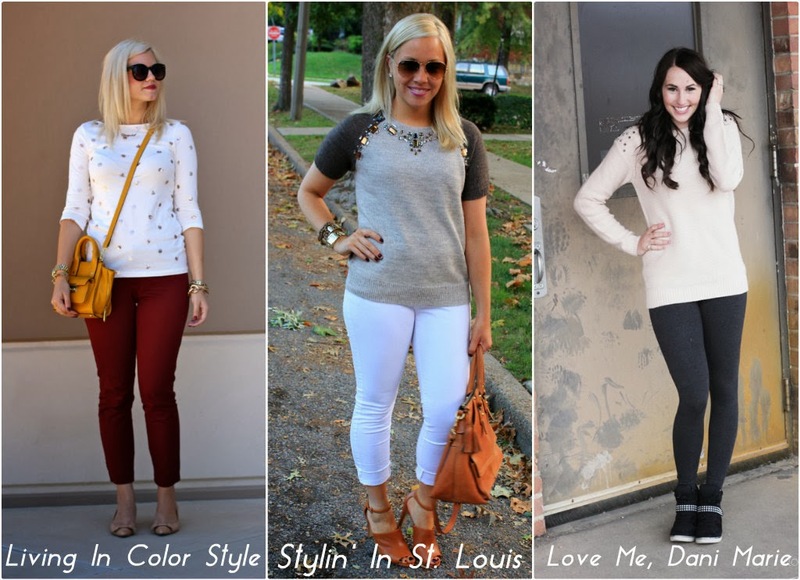 NEXT WEEK: Next week our Spotlight Weekly theme is… MONOCHROMATIC OUTFITS. See you next Thursday :) Thank you so much for reading, and for linking up! You're right about Old Navy, their stuff has really gotten better this fall! This sweater is super cute! I love the F21 sweatshirt and the colors you chose for this outfit! Super cute! cute top! ...and love the bag. thanks for hosting! Love love love your pants, so obsessed with that color this year. And the sweater is so fun- what a great F21 find! I really love all of the subtle embellishments on all of these outfits. That yellow bag is so cute!